In 2003, there was a massive blizzard in the Washington DC area and we weren’t able to get our cars out..or do much of anything…for at least a week. It was great fun, as we lived in a neighborhood with many friends and we played in the street, build snowmen and had a great time together. 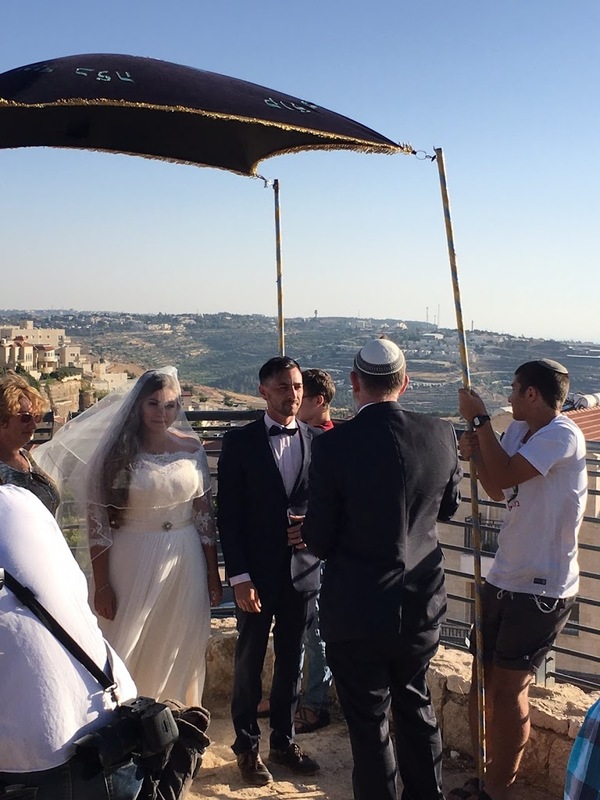 But one family found the experience very stressful, since the wedding they had scheduled at the nearby synagogue was not going as planned. The day of the wedding, we got word that this poor family was expecting that most of their guests wouldn’t be there. Josh and a group of our neighbors got on all of their snow gear and walked the mile through the snow to the wedding. They brought joy to a bride and groom that they had never met and made the family quite happy in their time of stress. So today, I found a gift for the couple and drove up to our lookout. The event was fantastic with the bride waiting in her car until the groom and Rav Matanya arrived. 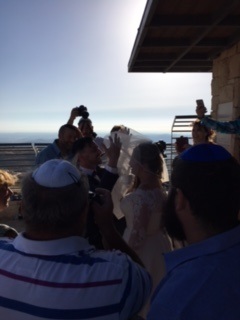 There were about 40 of us, including many of the teenagers, singing and dancing the couple to the chuppah. Now, the lookout is 1000 meters high and is probably one of the windiest places in the country. And there were four teenager boys holding on for dear life as the chuppah blew this way and that. 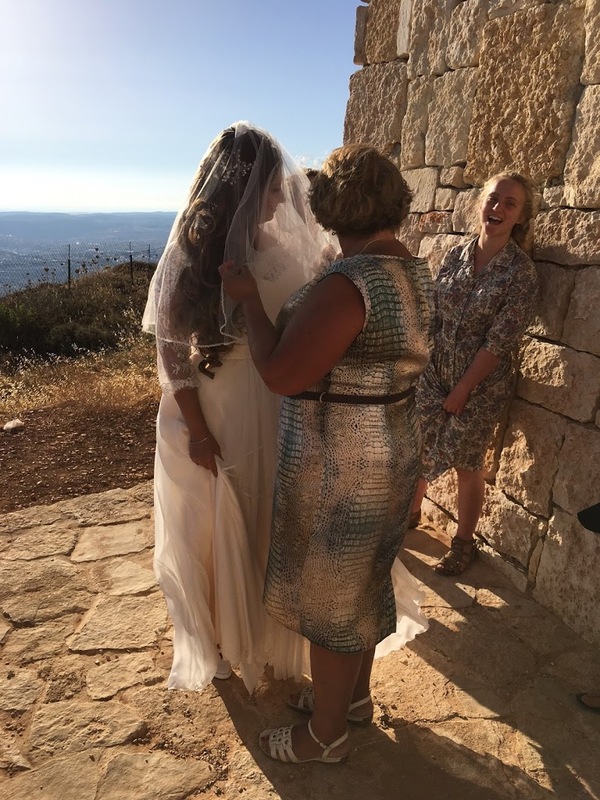 The bride’s veil flew away and the groom caught it just in time! There was music, light food, a juggler (thank you Nani!) and a great deal of love to go around for this couple starting out in the most modest and unassuming way possible. I was honored to be part of the joy. 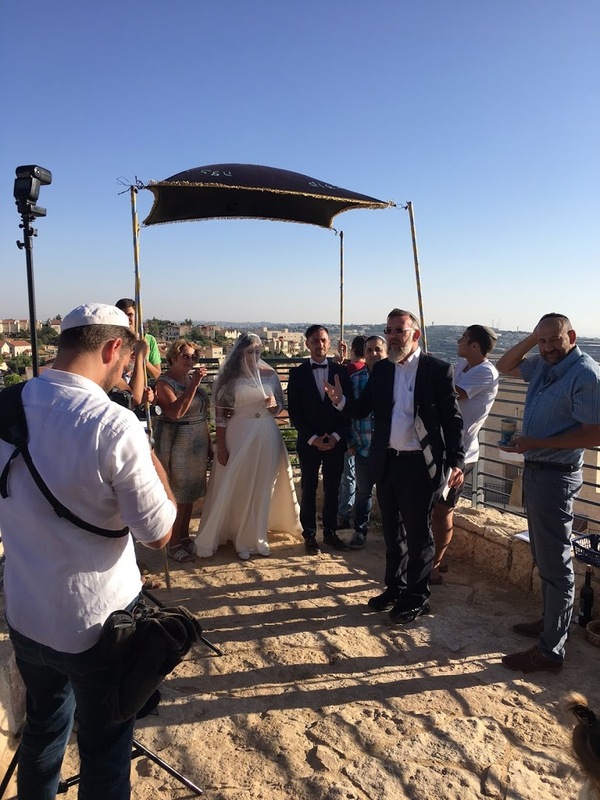 Lovely story and great mitzvah. If I may add a sensitivity factor I learned from a friend who was born and grew up in the former Soviet Union. He told me, "In Russia I was 'the Jew!' Now that I'm here, I'm always called 'the Russian.' In Russia I would have never been called 'Russian.' I had to come to the United States to become a Russian." Since hearing that, I've learned to refer to my Jewish brothers and sisters from Russia as "Jews who were born in Russia." But they are not Russians!! !